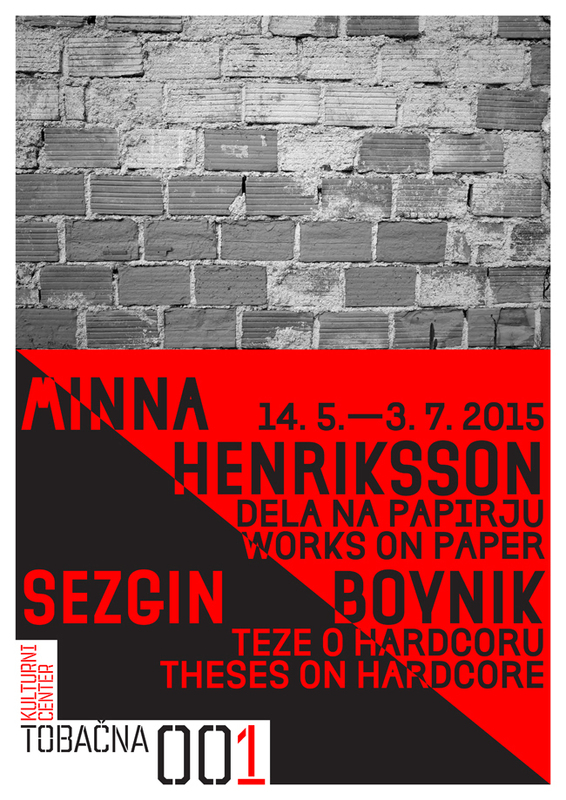 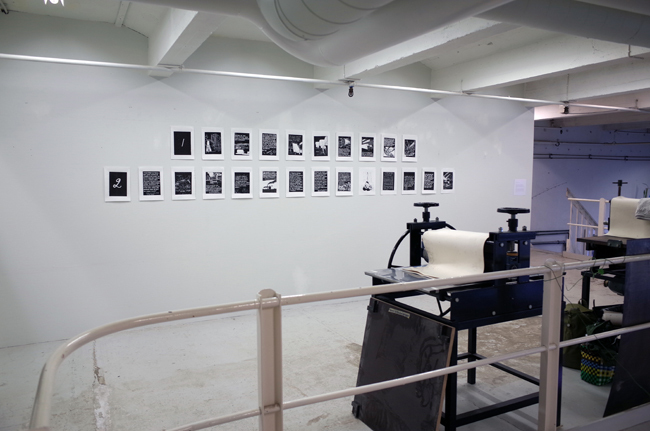 The work takes as its central topic the paper industry in Finland and the political involvement of many of its protagonists historically both in Finland and abroad, with a special focus in trade with South Africa. 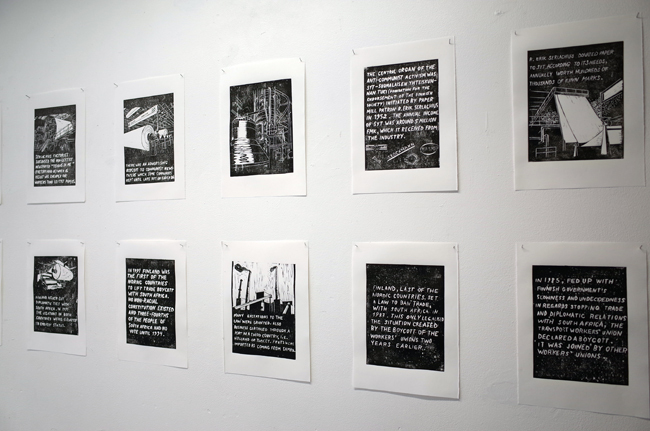 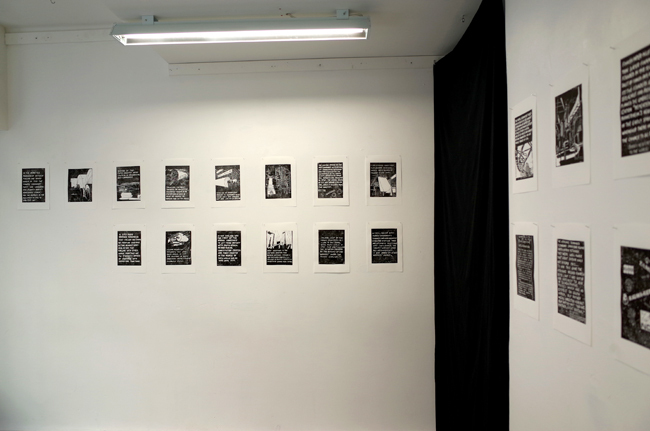 The series consists of 40 linocut prints that I have made from 2015 to 2017. 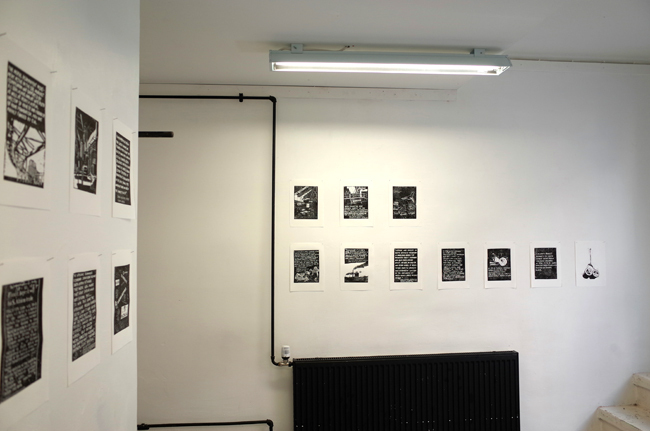 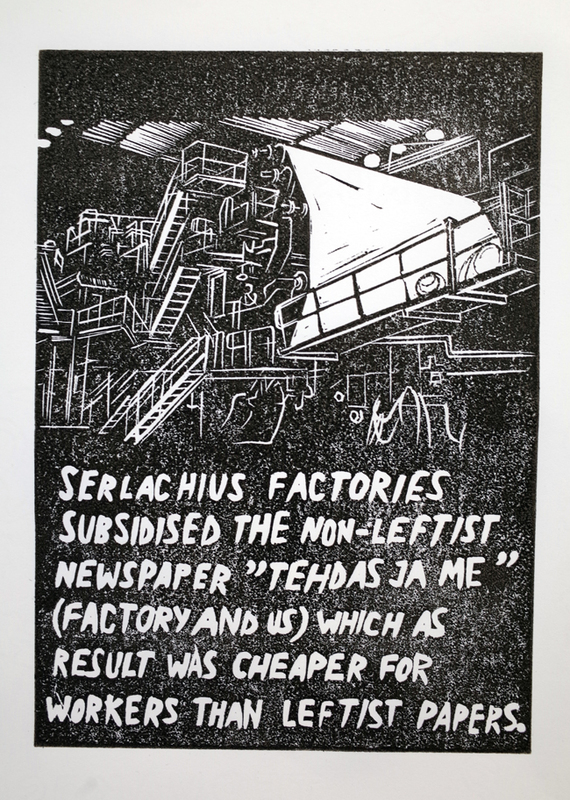 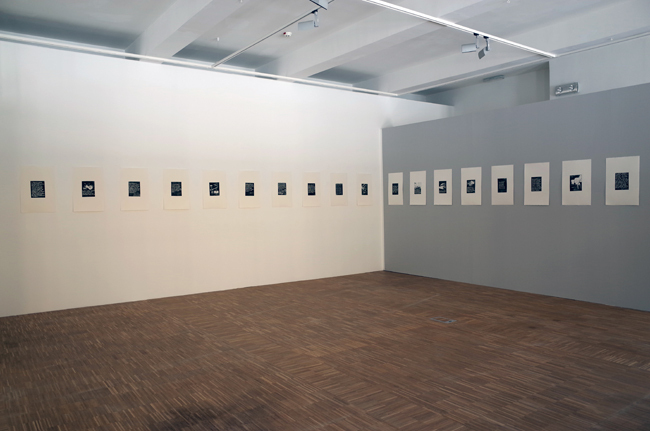 The narrative of the linocut prints echoes of the efforts of Finnish industrialists to counter the leftist politicisation of Finnish workers from after the Second World War onwards. 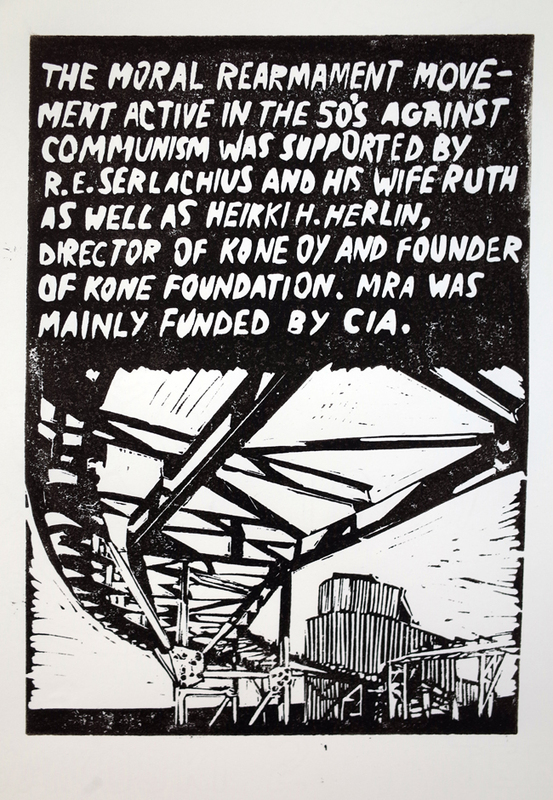 Anti-communist propaganda and organisation was conducted by secret organisations, some of which are still active today. 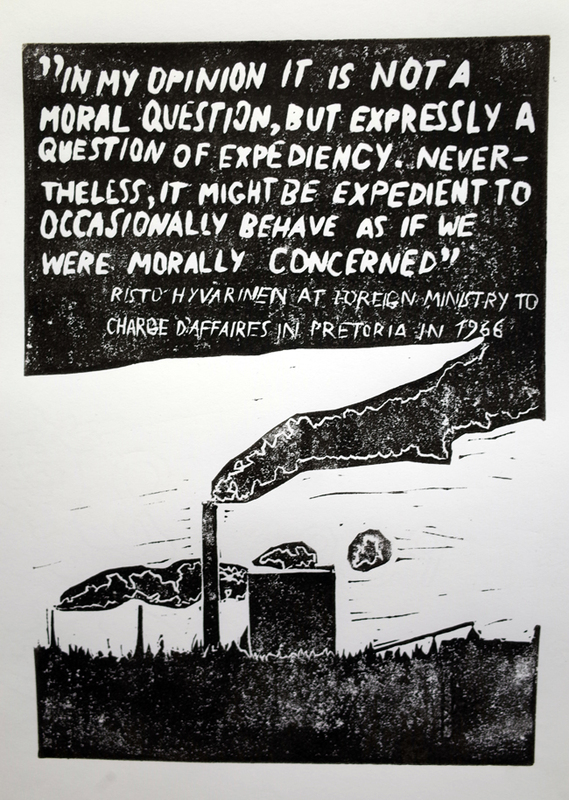 As the subversion of leftist labour unions was happening, Finland via the Finnish Paper Mills’ Association was continuing trade with the increasingly despotic South African apartheid regime. 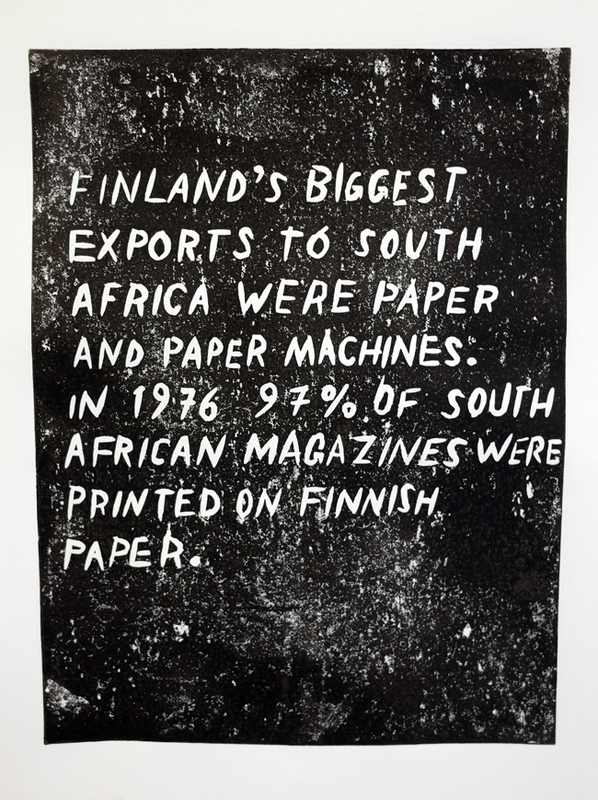 Finland was a major paper supplier for the South African government and most of the predominantly white owned printing industry in apartheid South Africa. 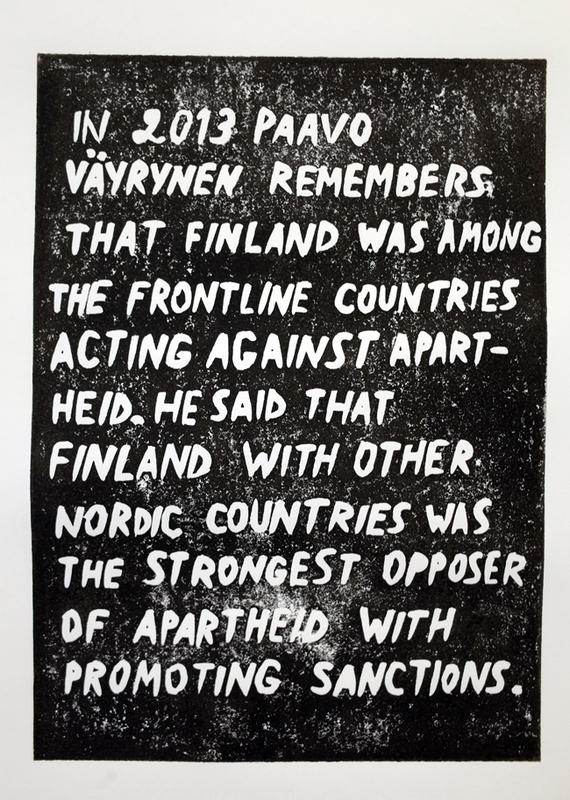 The government of Finland protected this trade by maintaining the diplomatic ties with the South African apartheid regime. 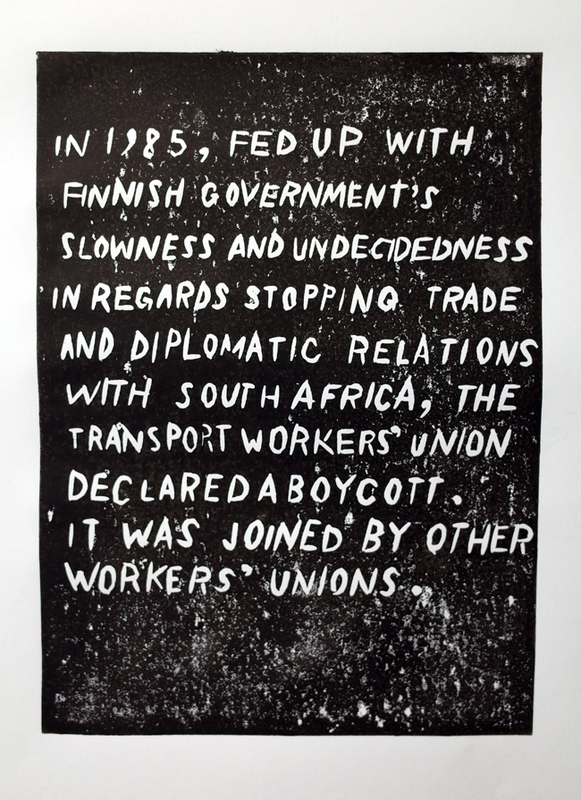 It wasn’t until the Transport Workers’ Union (Auto- ja Kuljetusalan Työntekijäliitto – AKT) in 1985 decided to stop handling goods between the two countries that finally put a halt to the trade by responding to the call by the broader anti-apartheid movement abroad and internally to apply sanctions and divest from apartheid South Africa. 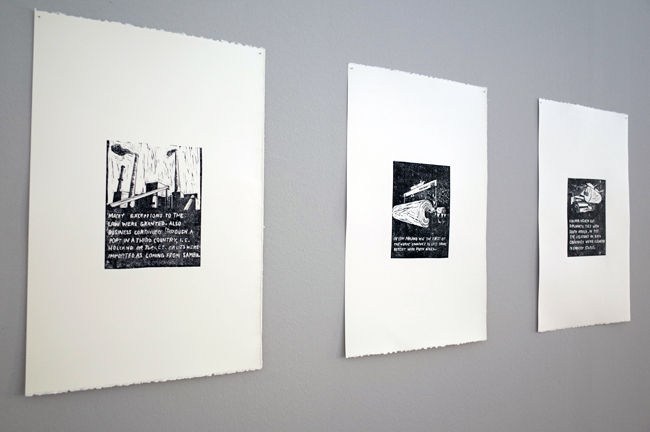 This act of working-class solidarity took place in other Nordic countries as well. 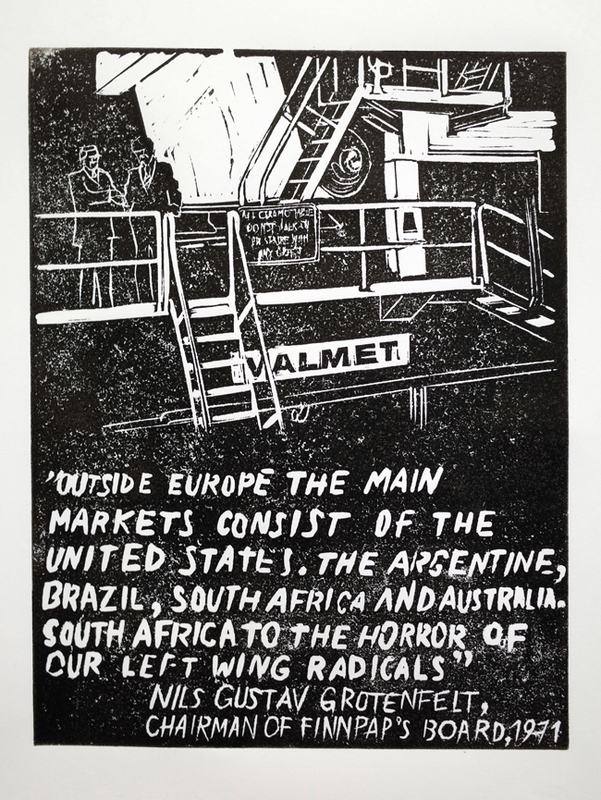 Today Finland prides itself together with other Nordic countries, for their role in bringing the apartheid regime to it’s knees, while silencing the role working-class solidarity played in it pressuring Finnish business and the state to adhere to black South Africa’s calls for solidarity. 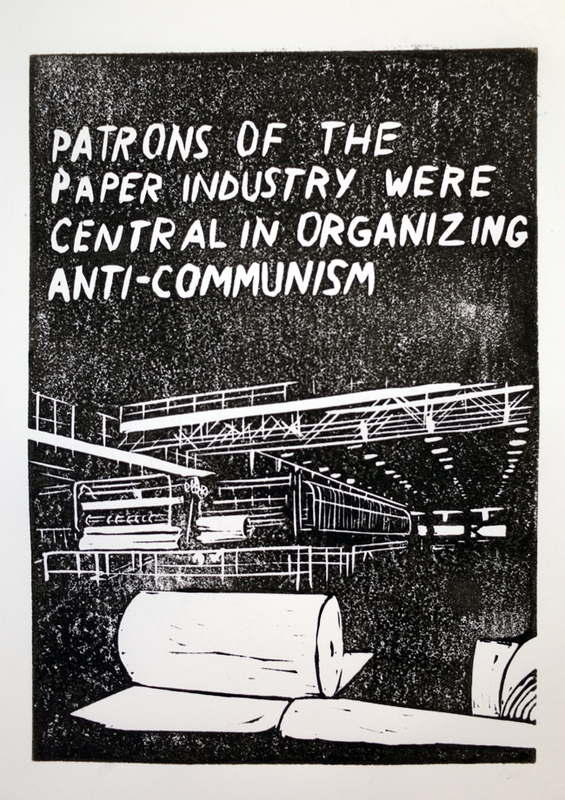 The role of paper in liberation struggle — as well as in maintaining a status quo — is crucial. 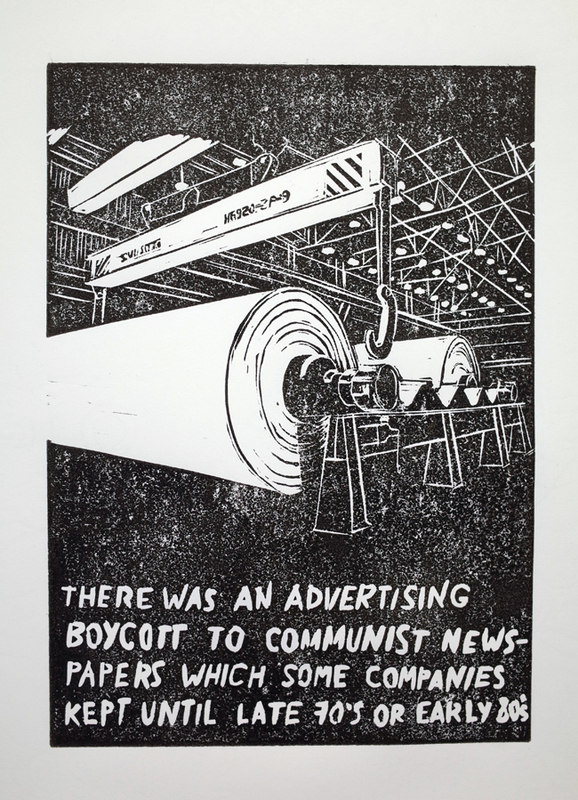 It is one of the most effective ‘invisible’ weapons for the dissemination of ideas and indoctrination. 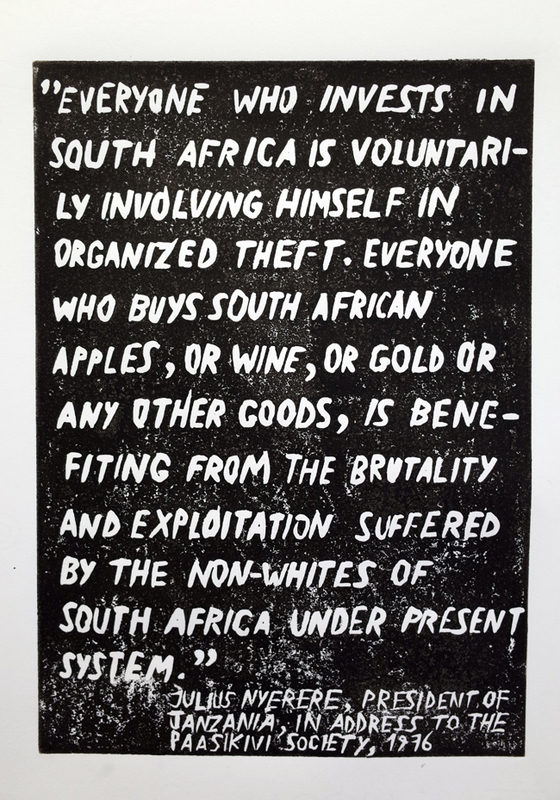 Linocut is a simple method of print which has been masterfully employed by leftist artists especially in the first half of the 20th Century and during the anti-apartheid struggle.